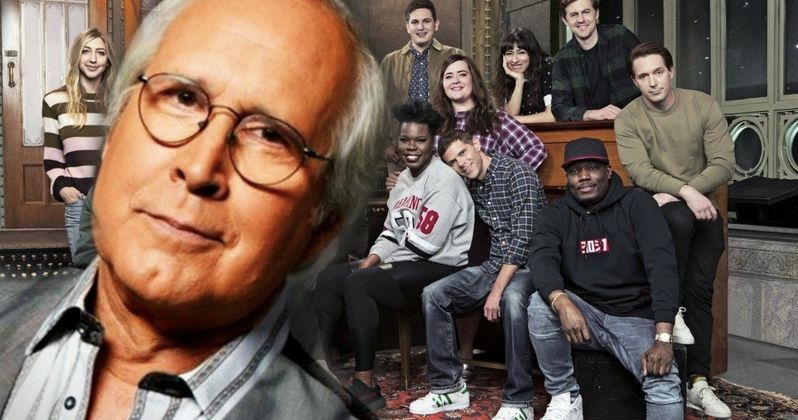 Chevy Chase starred in the first season of Saturday Night Live and he has no problem telling the world that he hates the current version of the show. Chase is no stranger to speaking his mind, and this is the second time in recent weeks that he has publicly taken shots at the Lorne Michaels-produced Sketch comedy mainstay that just won an Emmy. In an episode of Norm Macdonald Has a Show, Chase criticized the way that the current cast delivers the iconic opening line, "Live from New York, It's Saturday Night Live," stating "f*ck em." "I mean it just gets so bad. It seems like some guys are out there just to be the guy who says, 'Live from New York,' and then does it poorly. Anyway, that's not nice of me to say." When it comes to Saturday Night Live, Chevy Chase believes that the show declined in quality when he quit. The 74-year old comedian admits that it was one of the best times of his life and notes that he would come back and host in a "heartbeat." However, it doesn't really look like he'll be asked to come back any time soon after laying into the current cast of the show. He had this to say. "I'm amazed that Lorne (Michaels) has gone so low. I had to watch a little of it, and I just couldn't f*cking believe it. That means a whole generation of sh*theads laughs at the worst f*cking humor in the world. You know what I mean? How could you dare give that generation worse sh*t than they already have in their lives? It just drives me nuts." Chevy Chase was then asked about specific members of Saturday Night Live over the years. When the interviewer brought up Will Ferrell, Chase said, "Just not funny. Makes $25 million a picture." He liked Tina Fey, but doesn't see what the "folderol was about." Kristen Wiig had "clear-cut chops" and "is pretty", but Chase says, "what happened to her? Where did she go?" Things get a little more intense when Eddie Murphy is brought up, Chase says that he was funny, but that it was a little easy. He explains. "I thought Eddie Murphy was funny. Gumby. I found that funny and people loved that. Stevie Wonder, he did well... It's not that hard, for Christ's sake. Your skin's the same color. You just put on some sunglasses and do this." Things change when Chevy Chase is asked about Dan Aykroyd, whom he calls the "funniest guy on the show, almost the leader." Chase was also supportive of former Saturday Night Live cast members Gilda Radner and Dana Carvey. Carvey, Aykroyd, and Norm Macdonald all praise Chase for having a large heart and being "sweet," which isn't the way that most of the world views the comedian, who admits that he struggles to find work these days. Chevy Chase has been called one of the biggest assholes in Hollywood for decades, and he doesn't seem to care that much these days, stating that he knows who he is and his friends know who he really is. The comedian is very open about a variety of topics, especially Saturday Night Live, which doesn't help his reputation. Chase says that he doesn't care about his negative reputation, but deep down, be might care more than he's willing to admit. You can read the rest of the lengthy article with Chevy Chase over at The Washington Post.